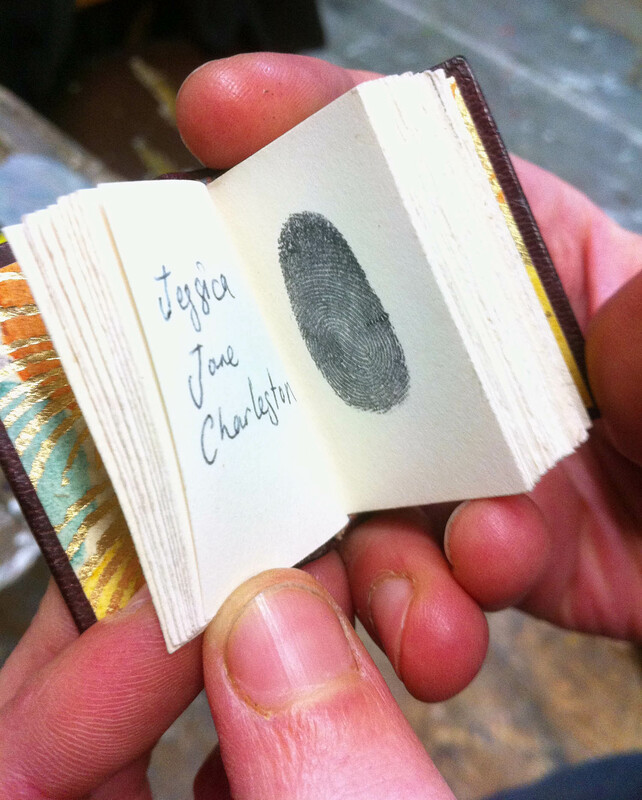 Amelie has bound the smallest book in London, made especially for fingerprints. 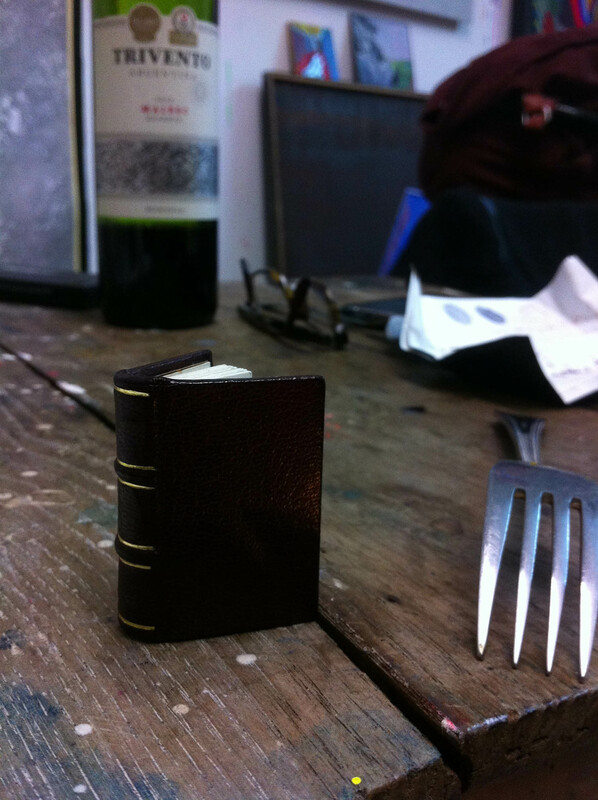 This entry was posted in bookbinder, handmade book and tagged binding, bookbinder, fingerprints, handmade book, shed press publications. Bookmark the permalink.